for $743,900 with 4 bedrooms and 2 full baths. 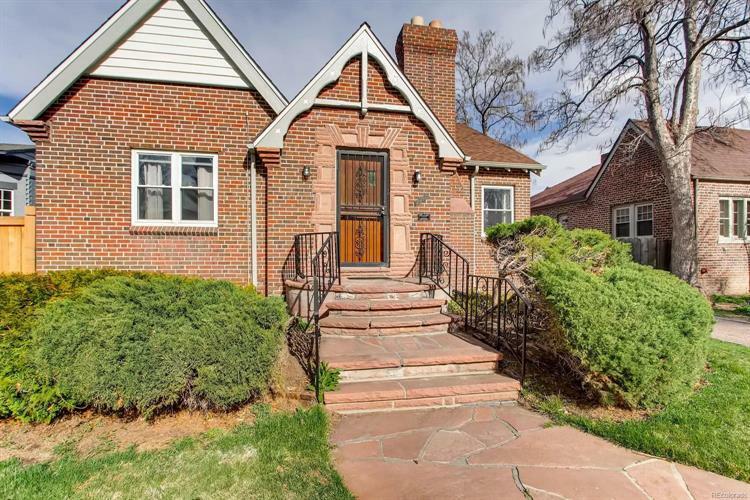 This 2,259 square foot home was built in 1937 on a lot size of 0.14 Acre(s). REAL-LIFE STORYBOOK GINGERBREAD TUDOR! This home embodies romantic distinctive features & classic elements inspired by the Medieval architecture of Tudor England. Smashing Style*Character*Old World charm! Supreme location-Best of Park Hill! Stroll down beautiful tree-lined street*just STEPS to BEST ParkHill restaurants/shops. Lovingly cared for historic features authentic to original time period! Embellished walls*Arched doorways*Elaborate brickwork*Familyroom w/vaulted ceilings*beautiful handcrafted timber BEAMS*Cozy fireplace. Gleaming woodfloors*Sleek bath tilework*Antique glass doorknobs*Formal dining w/french doors-opens to covered patio/brick pavers/beautiful yard.Perfect for entertaining! Cheerful kitchen w/granite, smooth-top, stainless frig&sunny breakfast nook overlooking yard.NEWER WINDOWS, ROOF, WATER HTR, ELECTRIC PANEL! FINISHED BASEMENT! 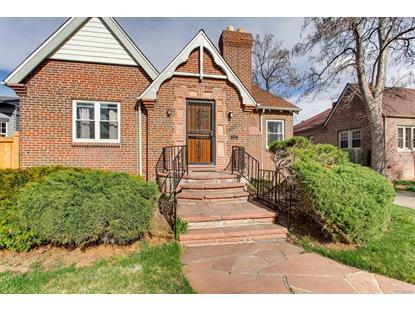 LIVES LIKE HOME/MOTHER-IN-LAW w/kitchen, HUGE Recroom, bright windows&fireplace. 2car garage &driveway/extra parking. Style & walk-ability!